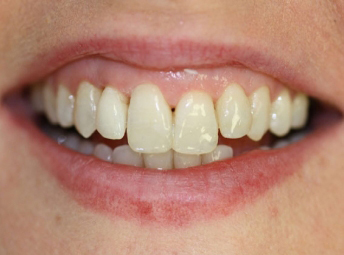 Clear aligners are an almost invisible alternative to ‘train tracks’. All work shown carried out by Dr. Sarah Enright. 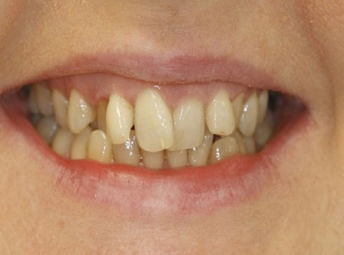 This lady presented with crooked teeth. She did not want to wear traditional train tracks. Clear aligners and aesthetic white fillings were placed on the front teeth to straighten the teeth and improve the appearance and symmetry. This took 1 year.